BayWa r.e. 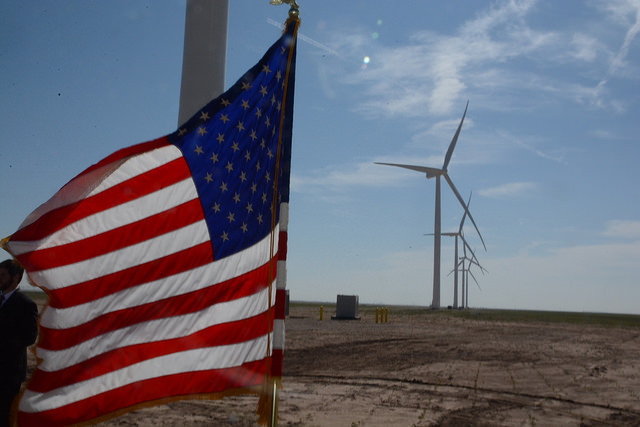 announced today that its Beethoven Wind Project in South Dakota achieved full commercial operation on May 28, 2015. BayWa r.e. bought the project from a local developer in August 2014, finalized development and began significant additional construction in September. The power is sold under a twenty year contract to NorthWestern Energy and GE has been engaged maintain the wind turbines for the next ten years. “The 80 MW Beethoven Project is the largest wind project brought online in the US and the second largest one in BayWa r.e.’s history worldwide. Its output will supply clean, reliable, renewable energy to 31,000 homes.” states Matthias Taft, CEO of BayWa r.e. and BayWa AG Board Member for the energy sector. “The completion of Beethoven is an important milestone and we are on to the next project. As we continue to seek out the next opportunity, we welcome any introduction to exciting projects.” said Florian Zerhusen, CEO of BayWa r.e.’ wind business in the US. BayWa r.e. renewable energy GmbH, a wholly owned subsidiary of BayWa AG, is responsible for the BayWa group’s renewable energy business. Founded in 2009 and based in Munich, BayWa r.e. acts as a holding company for various business interests in the areas of solar, wind energy, bio-energy and geothermal energy. BayWa r.e.’s business activities range from project development and realization to PV trade and consulting services. The company covers the entire spectrum of a professional technical plant support service, including maintenance. Further services of BayWa r.e. include: the commercial operations management of plants, the trading of renewable energy power, trading in biomethane, as well as the sale of eco power and eco gas to both private and commercial customers. The company has an international focus with its core markets in Europe and the USA.